The Birth Boot Camp curriculum is largely based on the 10 Steps of the Mother-Friendly Childbirth Initiative, or MFCI, written by the Coalition for Improving Maternity Services (CIMS). 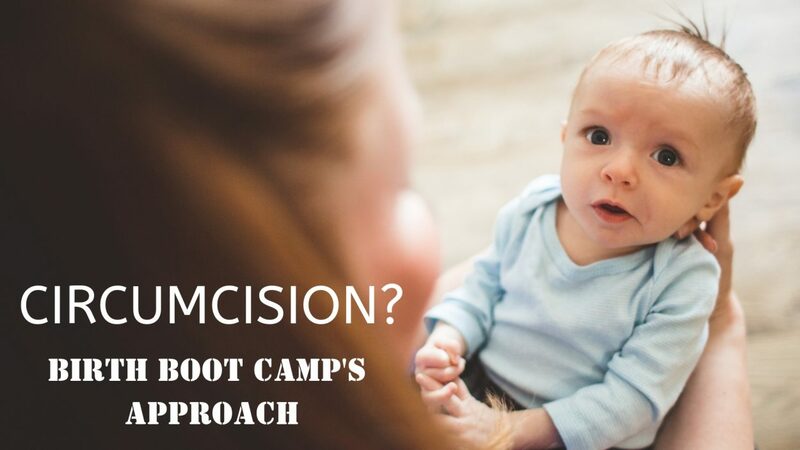 For years, the 9th step has been to “discourage non-religious circumcision of the newborn.” They took out the phrase “non-religious” a few years ago, but as the founder of Birth Boot Camp, and a respecter of religious practices, I’ve chosen to leave it there. We do teach about the function of the foreskin in our Comprehensive Course, as well as our Homecoming: Life With a New Recruit. 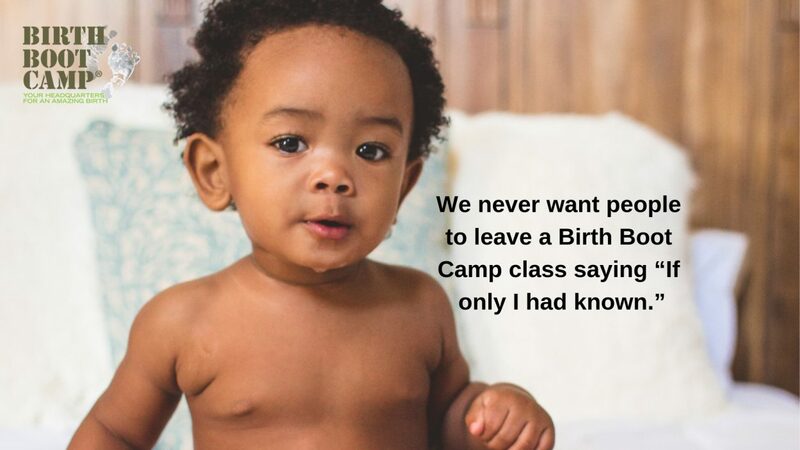 The approach at Birth Boot Camp is respectful and not fear based. While we talk about the physical aspects of circumcision as well as being left intact, there are many more deciding factors for parents. I have often referred to this as “social circumcision.” We have an open discussion about the social and emotional reasons for and against circumcision. Often, talking through these emotions and situations can help parents see how (often) unfounded those arguments are. As with all topics we address in our classes, we hold to the truth that empowerment does not occur when facts and opinions are forced down our throats. Empowerment comes from getting educated and feeling like you are able to make informed decisions for yourself and for your baby. Of course, with the circumcision conversation, the question “Whose decision should this be?” must be addressed, recognizing that parents do, in fact, have the opportunity to make this decision for their child. 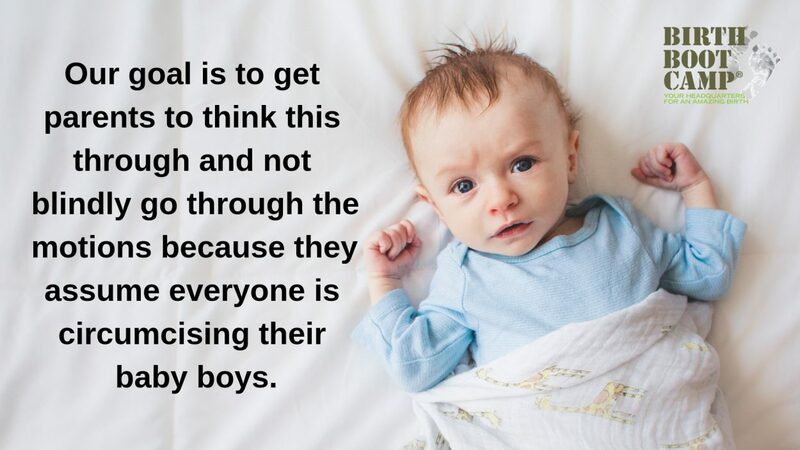 Again, our goal is to get parents to think this through and not blindly go through the motions because they assume everyone is circumcising their baby boys. Our instructors are trained to respect parents’ decisions, whatever they may be, trusting that we have done our job in providing the facts. In teaching on this topic for the last 16 years, my experience is that most people have no idea that the foreskin is not just a “flap of skin” and that it does have multiple purposes. With the release of the new movie, American Circumcision, this conversation is finally being had in mainstream America. It’s even available on Netflix. We recently added this to our list of required movies to become a Birth Boot Camp Instructor. If you haven’t watched the movie yet, I encourage you to do so, especially if you will be faced with this decision in the future.